Armstrong Craven CEO Tom Mason says the Watch List is in line with his company's promise to clients: to always attract the best ‘senior and scarce talent’. Armstrong Craven is delighted to be sponsoring HRM Asia’s Watch List – profiling some of the most exciting next-generation talent in Southeast Asia. The opportunity comes at an exciting time for Armstrong Craven in Singapore and the wider Asia-Pacific region. We see the region as a hugely important part of our company’s international expansion as we continue to build a strong presence in all major global hubs. Armstrong Craven opened a dedicated office in Singapore just over three years ago and, since then, we have continued to invest to ensure we have a highly experienced and knowledgeable team in the region. We have seen growing demand in the region for our support in providing clients, both local and global, with a more strategic approach to their talent acquisition. Clients turn to us to ensure they identify and attract the best candidates for their senior and scarce roles. Insights are key. We are enabling employers to better understand the scarce and senior skill landscape, something that is critical if they are to drive their business growth. The core services offered by Armstrong Craven of talent mapping, pipelining and insight are all about helping our clients to steal a march on their competitors by taking a more strategic and considered approach to their talent acquisition. The benefits of such an approach are multiple. They include a greater likelihood of identifying, attracting, and retaining the best talent – whether a business has an immediate or longer-term requirement. All of the data belongs to the client which means they can maintain a warm pipeline, ready to make further hires as necessary. Further benefits include a significant reduction in both the time and cost of hires. Major areas of work include diversity, not just gender but all facets, and helping businesses win the talent battle as disruptive technologies such as artificial intelligence and robotics become ever more critical to the workplace. The latter is driving the so called ‘future skills’ agenda with organisations desperate to ensure they have the right people with the right skills in line with the fast-evolving nature of the workplace. While technical skills remain hugely valued, there is an increasing desire to recruit talent with broader skills such as creativity, critical thinking and sociability. The talent landscape in Singapore and the wider Asia-Pacific region, like in many other parts of the world, is altering dramatically. Understanding the shifting dynamics is essential. 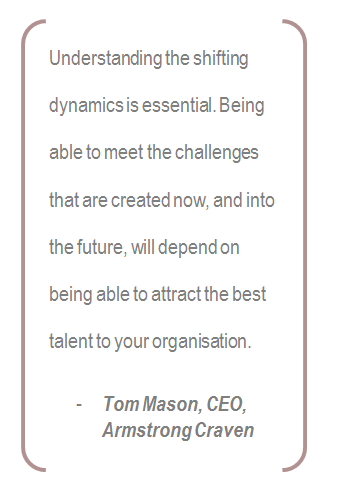 Being able to meet the challenges that are created now, and into the future, will depend on being able to attract the best talent to your organisation. 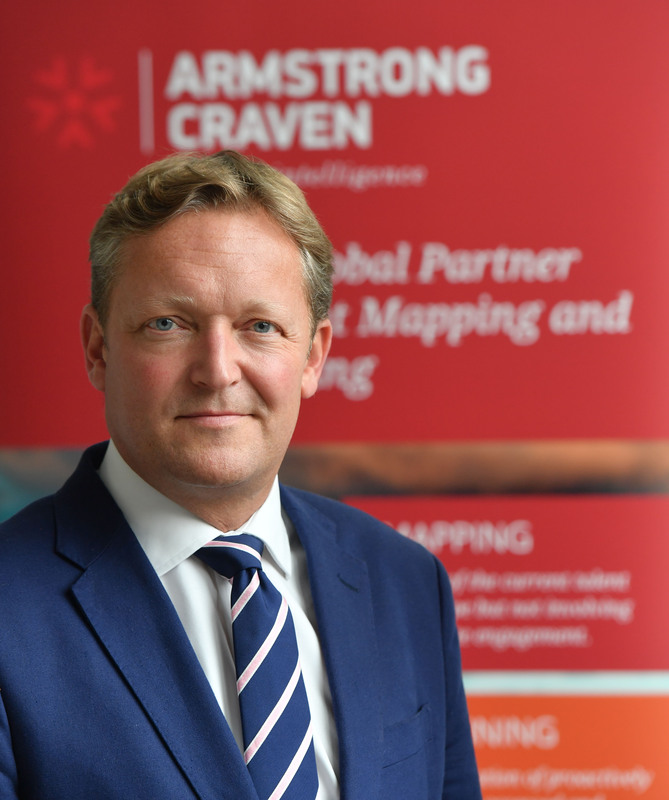 Armstrong Craven is a talent mapping, pipelining and insight specialist employing over 70 people in the UK, US, Switzerland and Singapore. The company’s CEO is Tom Mason. Key sectors are Healthcare and Life Sciences, Financial Services, Technology, Consumer, Industrial and Professional Services. In total, the Armstrong Craven team comprises 16 different nationalities and has fluency in more than 25 languages. Founded almost 30 years ago, the firm carries out in excess of 500 projects a year, the majority of them cross-border. In total, its projects cover more than 120 different countries in any given year. The HRM Asia Watch List aims to showcase the up and coming generation of HR leadership talent in Southeast Asia. The list will be unveiled daily between September 27 and October 19, 2018. Check the dedicated microsite for the latest updates, follow #hrmwatchlist on social media, or see below. Despite its widespread practice, companies are making a major mistake when they automatically elevate their best contributors to supervisory roles. At its new factory in Shanghai, China, ABB will have robots and humans collaborating to make more robots.